I've been sorting, filing and just cleaning up a lot of my files. I went through my photos too and I don't know why but I felt very connected with this old photo. Remember my Simple Monday posts? These cards are definitely great representations of how simple can totally work and be used for so many different occasions. 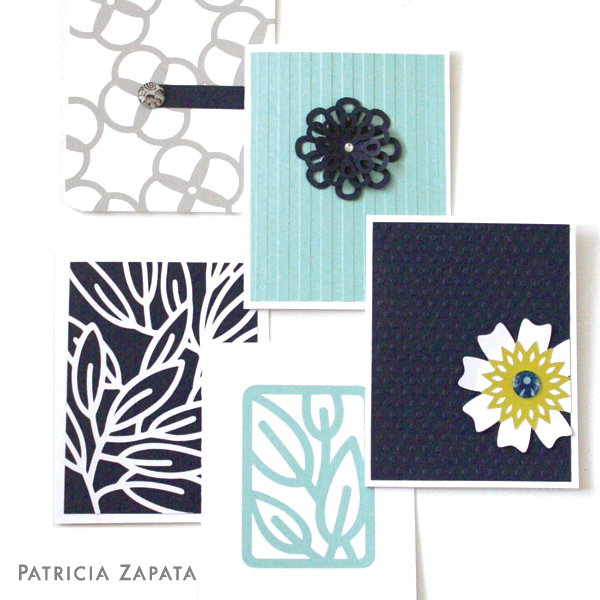 These cards can be made with simple flower designs and portions of background shapes. The card full of leaves is by far my favorite. I made it using a portion of my Just Leaves Lattice file. Groups of leaves are still one of my favorite things to draw — they are therapeutic to work on. 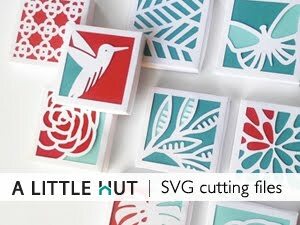 Look at your patterned embossing folders and background SVG files in a new light. Instead leaving them in the back, why not making them the centerpiece of your cards?